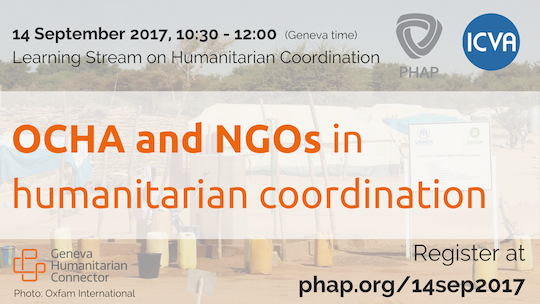 PHAP has organized a series of live online learning sessions together with the International Council of Voluntary Agencies (ICVA) on the topic of humanitarian coordination and the role of NGOs in coordination mechanisms. 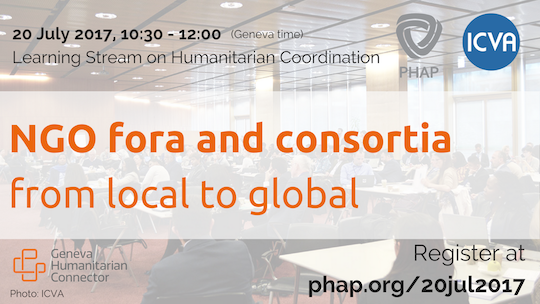 Building on the format of the previous series organized together with ICVA on humanitarian financing, these events focused on different aspects of the humanitarian coordination ecosystem through targeted discussion with experts from various part of the humanitarian sector. 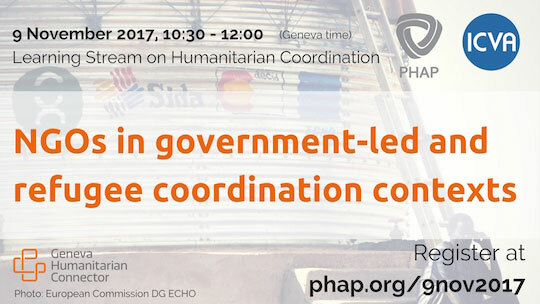 Designed for anyone needing to know more about humanitarian coordination mechanisms, the series was particularly targeted to those working in international and national NGOs engaged in humanitarian action. 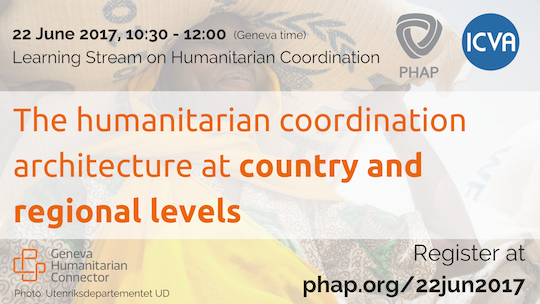 The overall objective was for staff of such organizations to have a stronger understanding of the various humanitarian coordination mechanisms and be better able to strategically engage in them at the country, regional, and global level. 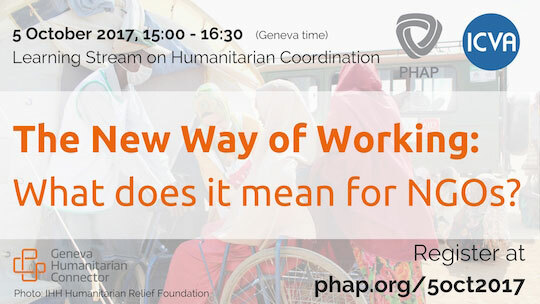 Read more and watch the recordings of all these sessions by following the links below. 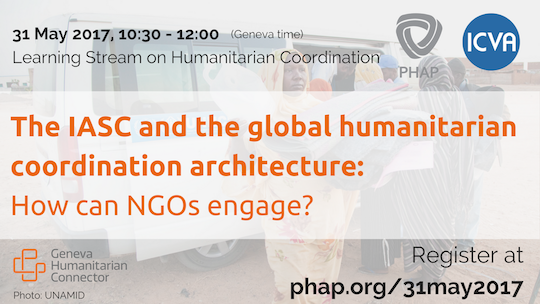 This series was made possible by ICVA and through the Geneva Humanitarian Connector, an initiative of PHAP supported by the Swiss Federal Department of Foreign Affairs.